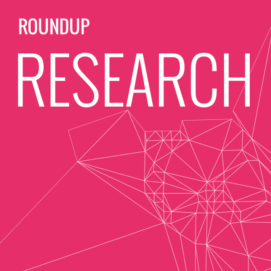 ExchangeWire Research’s weekly roundup brings you up-to-date research findings from around the world, with additional insight provided by Hugh Williams, senior data analyst, ExchangeWire. In this week’s edition: B2B marketers embracing programmatic in 2018; Value chain transparency must improve; and The state of search advertising. Almost two-thirds (63%) of B2B marketers will increase their spending on programmatic advertising in 2018, says a report by AdWeek BrandShare and Dun & Bradstreet. In addition, 18% will increase their spending by more than a quarter. Display (88%), mobile (62%), and digital video (59%) are the most commonly bought inventory via programmatic. On average, 53% of buys are taking place via open exchanges. The report also shows that brand safety remains an issue that needs to addressed. Two-thirds (66%) of respondents either agree or strongly agree that brand safety has become more important to them in an era of fake news. Viewability was among the largest concerns for B2B marketers. Almost a quarter (23%) said this was the biggest challenge they face regarding programmatic, up from 13% a year ago. 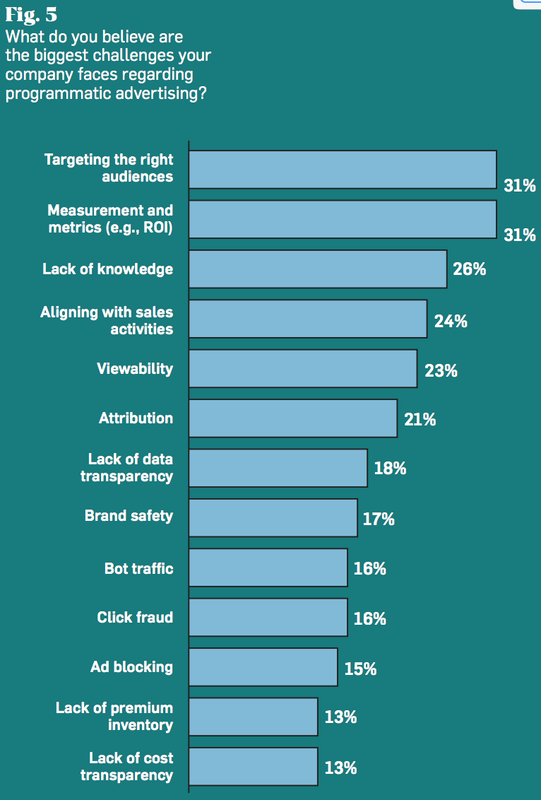 Measurement and targeting the right audiences (both 31%) are the largest concerns here. There is a lack of value chain transparency in programmatic, which has caused 79% of marketers to have concerns over transparency levels, finds research by TRUTH. On the other hand, only 14% strongly agree they have a good understanding of the proportion of their budget that makes it to the consumer. The report also finds that there are low levels of trust in agencies, as 36% of the respondents cite medium to low levels of trust in their digital media agencies. Inconsistent measurement is still an issue, as 49% of survey respondents cite a lack of consistent metrics and measurement as one of their biggest concerns. The industry still has its work cut out to ensure consistency of standards and metrics, and that these are agreed and adhered to. Despite concerns about lack of transparency, and issues such as ad fraud and brand safety, advertisers are confident that there are ways of addressing the industry’s challenges; 77% of the respondents agree that a cleaner supply chain will release time and money for better advertising and innovation. Google remains the dominant player when it comes to overall search spend, with a 92.6% share of wallet compared to Bing in the UK, according to Marin. Google also dominates share of clicks across virtually all UK industry sectors. However, Bing has seen the fastest growth in spend volume, with a 27% increase when Q3 2017 is compared to Q3 2016. The average cost-per-click (CPC) on Bing has also increased by 18%, compared to just a 1% increase on Google over the same period. 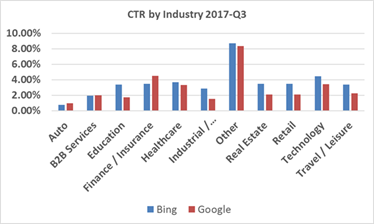 This perhaps reflects the fact that marketers are seeing far higher CTRs on Bing in eight of the 11 industry sector categories tracked.